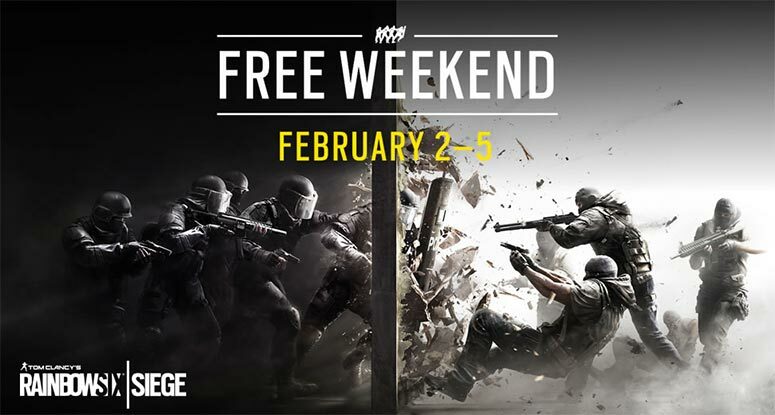 Play “Rainbow Six Siege” for free this weekend! “Rainbow Six Siege” will be free to play this upcoming weekend for all platforms. Starting February 2nd, users can enjoy the game on Xbox One, PlayStation 4, and PC (via Uplay and Steam). The free play will last until February 5th and will include all maps, modes and Operators. To sweeten the deal, Ubisoft is offering the game at 50% off after the free play weekend ends. For PC players, you can find out more information here on how to play. For XBOX One and PS4 players, you can go to your respective console’s store (XBOX Live Store or PSN) page on February 2nd and details should be available there. Will you be playing “Rainbow Six Siege” this weekend?